Experience the thrill of Rickwood's miracle mile of underground caverns! The 260 million-year-old limestone formations, blind cave fish and underground pool are just a few of the natural wonders exhibited in the colorful cavern. The park features an Olympic-size swimming pool, snack bar, picnic area, large and small picnic shelter, hiking trails, playground, campground and gift shop. 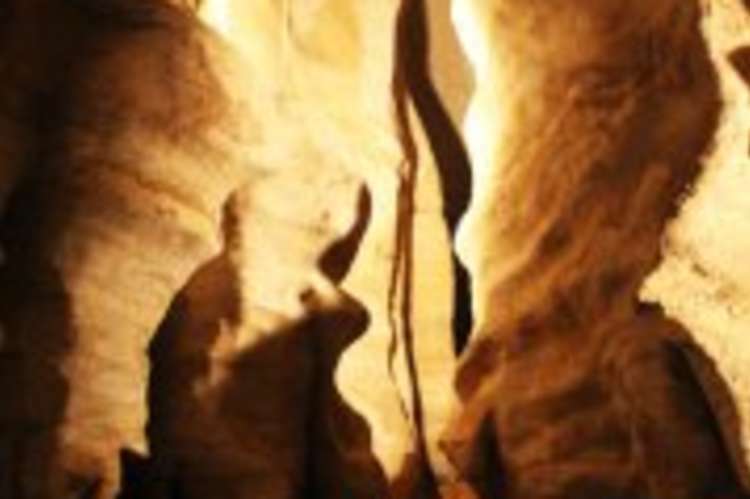 Rickwood Caverns is a recognized member of the National Caves Association, and offers more than a mile of living geology. The caverns themselves were water-formed during the Mississippian period over 260 million years ago. Rickwood Caverns still contains active "living formations," as mineral-laden water droplets build colorful structures and flowstones. Rickwood Cave reveals that it was carved from an ocean bed - shell fragments and fossils of marine life are clearly visible along the cavern ceiling and walls. 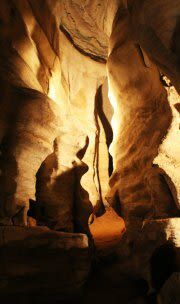 Many curiosities are featured on guided tours of the "miracle mile" at Rickwood Caverns State Park.